I'm a big fan of the One Little Word for a year, finding some word to help you focus on one thing. It's a resolution I can usually follow. Others, I'm horrid at. I have good intentions, but I never follow through. In 2014 I picked the word balance. I'm not sure I should have ever let that word go. I've been thinking about balance a lot lately. I think teaching is a job that it is easy to work more and more each week. You are never caught up. There is never a day that my class goes to computers and I think, "I have nothing to do." I could always do more, stay later, find work. When I first began teaching I'd stay late each night. We're allowed to leave around 3:30, but I'd think nothing of being there until five, six, seven... Then I had my kids and began realizing that I needed to follow that adage of working smarter. It improved. Now I find myself once again out of balance. Now I have more than the classroom work that encompasses my job. 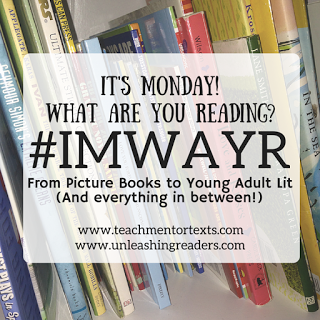 There's teaching, but also lots of reading to recommend, writing for multiple sources, connecting with educators online, and, and, and. I've taken on too much. Adding in school and two boys' schedules, and I'm drowning. 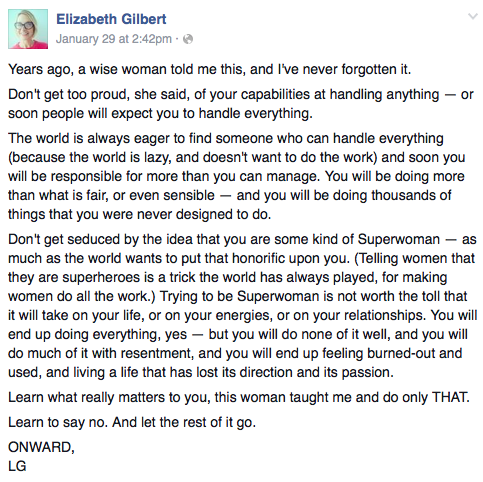 I wrote a few weeks ago that the way forward was looking a week at a time, getting done what needs to be done. That has helped. I also think I have to cut back. I don't think when my boys go to college I will wish I spent more time on my computer, looking back. School is important, connections online are important, traveling to conferences are important, but I want to remember the balance. I need to say no more. I need to reframe what takes up the biggest chunk of my day, of my heart. 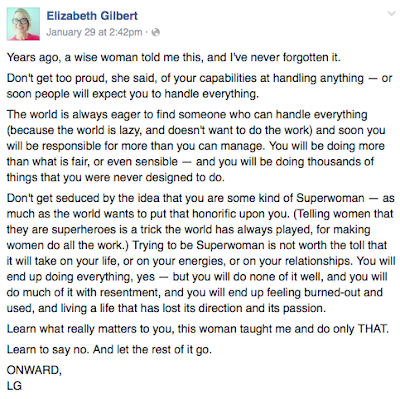 I adore Elizabeth Gilbert. Recently she posted this on Facebook. It was the reminder I needed. I'm sharing it here in case any of you need it as well. Teachers are, by nature, givers. We give until we are empty. Let's make this the year we also look for what we need, what fills us up. And maybe, by doing so, we can restore some balance. Earlier this year I found myself lamenting the amount of "sad books" I was reading. The group I am teaching this year already has a lot of sadness in their lives, and often don't want to be reminded of it in a book. I have several funny books in my classroom and I began pulling out more and more of them to share with the kids, hoping to make them laugh. One day, in their infinite wisdom, a student asked for a "normal" book. I looked at him, puzzled, and asked what he meant by that. He said, "One that is like me, you know, normal. Where normal stuff happens to normal kids." Ahh, gotcha. What we were looking for here was "normal" realistic fiction. Not sad, not laugh out loud hilarious, just a book where kids were kids. It's then I remembered, that's what I read as a kid pretty often too. I was an anxious kid, and am now an anxious adult. I looked to my books to ease my racing heart, to make me feel safe. I have lots of these books, and now, one more. 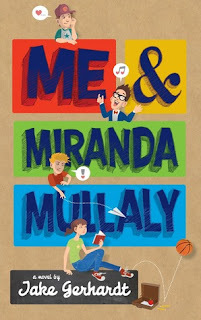 Here, in Me & Miranda Mullaly, my students will find enjoyment. They will enter the eighth grade world of Sam, Duke, and Chollie. All three boys have inexplicably fallen in love with their classmate, Miranda. Miranda, however, is completely oblivious to their affections. The book is told in alternating viewpoints from the boys with essay prompts from all four boys and Miranda interspersed throughout the book. I've book talked this one several times as I read it to my students. They were anxious for me to finish so they could begin their waiting list as they pass the book from one hand to the other. They were curious - did I like one of the boys over the other? Would Miranda end up with one of them? None of them? Would the boys find out that the others liked the same girls? Would they become enemies? Now that I've finished the book, I know all of the answers to their questions, yet won't answer them. I know they will have a blast getting to know Sam, Duke, and Chollie all on their own. This one comes out today and would be great for fifth graders on up. 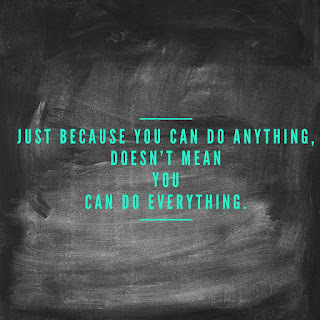 I hope your students (and you!) enjoy it just as much as I did. Not as much as I'd like. To be fair, I have three books I am currently reading, and that I've read all week this week, for my college courses. I'm not done with them yet, so they aren't on here, but that has taken up a chunk of my reading time. On this list I must recommend if you teach anyone in 5th/6th up that you get the Embassy Row series by Ally Carter. I love this, as do many of my students. Amazing. I hate recommending ARCs at times, it just isn't fair to tell you they are good, but you can't get them. However Fenway & Hattie is amazing. Told from the dog's point of view (Fenway), it had me rolling with laughter. Also amazing for teaching inference. Another ARC that I was be reviewing in a few weeks is A Week Without Tuesday, the sequel to Finding Serendipity. I loved it, just as much as the first. And Bird and Squirrel on the Edge is another great installment in that series. My students have fought over who gets to read it and the waiting list is now several post-its long. 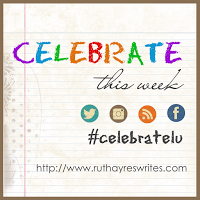 I'm grateful, as ever, that Ruth Ayres asks us to pause on Saturdays and share a celebration from the week. Boy did I need it this week. Check out Ruth's blog HERE. This week I had a moment of a panic. Not a full-fledged panic attack, mind you. I've had one of those and they are awful. No, this week I had one of those moments when you are hit with a realization that you have too much to do and not enough time to do it in. It was horrid. I'm taking two college courses this semester. It's a long story, but essentially I would like to teach middle school one day and I realized this fall that I didn't have the endorsement. Beyond two middle school classes that I would need to take this summer, I also am short six hours of language arts (when you exclude any ELA I took for teaching.) So, I enrolled in two courses. My first moment of panic came when I discovered on Monday that the classes started (online) that day, not after MLK day like I had assumed. Deep breaths. I looked over the syllabus for each class and another wave of panic crashed. This was far more work for two classes than any of the last grad school classes I had taken for my last master's degree. More waves of panic crashing. And then I took a breath. Maybe two. I decided I couldn't do this if I kept looking ahead, but just to look at this semester a week at a time. What did I have to do this week? Also, and more importantly, how could I use these classes to help my students? I'm taking a English class on creative writing in fiction (my weakest area of writing) and a Lit class on Intro to Fiction. I had to read half of A Christmas Carol this week and complete an essay quiz on it by Friday. I shared the first page of the text with the kids, my essay quiz, and how I responded. We talked about what a syllabus was and how you read one. They had a lot of questions, so many good ones, and I left our conversation hoping that they had just a bit of insight into the world of higher ed than they did before. One student came up to me and said she thought it was interesting that the college professor asked me to quote directly from the text and explain my thinking just like I ask them. I had to smile. In my writing course we had to write an essay about who was a writer that has influenced us. I wrote about that the other night at home while Liam read over my shoulder. He commented that I should ask our class to complete the same essay, that he thought it was an interesting idea to think of what writer has influenced us. I turned and asked him who would he pick. Without missing a beat, he replied, "Phil Bildner who wrote A Whole New Ballgame. I want to write like him." My heart soared. I love this kid and how much he has grown in the past few years - especially in regard to reading and writing. This week was crazy. I felt like I was treading water for so much of it. My head stayed above, but I saw the storm coming. And then, it didn't. Slowing down, looking at small goals, selecting parts of this crazy journey to share with my class, finding the room for celebrations helped. Maybe this journey won't be so bad after all. Tomorrow is a big day in my world. I'm not a big fan of most awards shows. Someone told me that tonight's the Golden Globes, but it's not my thing. Tomorrow morning, however, is another story. It is a big day in children's lit - the American Library Association's Youth Media Awards. I've held a Mock Caldecott this year and a Mock Newbery. 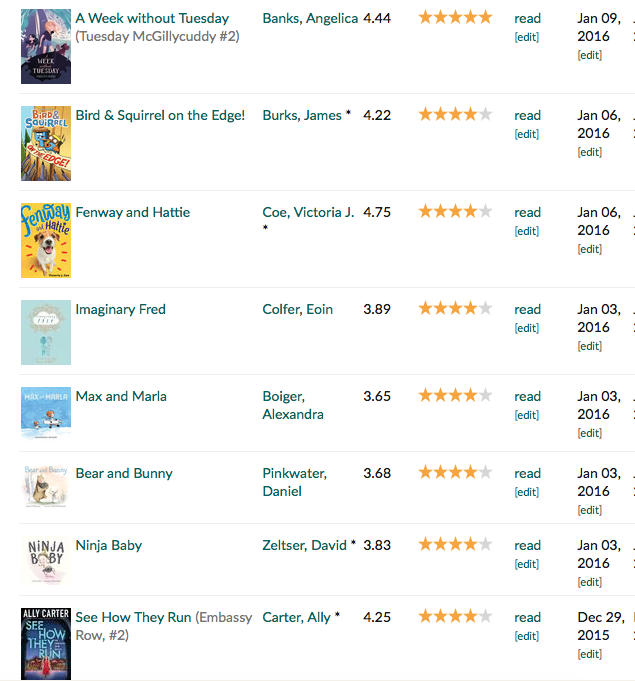 My students and I have debated favorites, cheered for books we love, recommended books to friends. I am giddy over seeing what books are honored tomorrow. This year I have a long list of favorites, many I would be glad to see win. I'm also just as excited to see if there are books I don't know. New books to check out, read, and recommend. As much as I read in a year, there are only so many books I can get to, and I haven't read them all. The awards begin at 8am on the East Coast, when most of my students will just be getting up and ready for school since we are an hour behind. Still, some are meeting me at 7:30am to cheer on our favorite authors and watch the end of the announcements together. If you'd like to watch the live-stream tomorrow, check it out here: ALA WEBCAST. And authors and illustrators - thanks for an amazing year of reading once again. My greatest concern is not whether you have failed, but whether you are content with your failure. Story time, pull up to your computer screens or phones and grab a cup of tea. For this story we need to go all the way back to the fall of 1992. When the only cell phone I'd seen, up to that point, was in a bag and you plugged it in. (My students would shudder in horror at that very statement.) I was young, stubborn, and attending my first semester at the University of Kentucky in Lexington. I hated it. For a variety of reasons spanning from homesickness to knowing I was in the wrong place, I wanted to transfer by October of that fall. I braced myself, told my parents, and they promptly said no. You'd think that might deter me, but you'd be wrong. Knowing I'd have to figure this out on my own, and knowing I was absolutely not finishing out the year there, I went to work. These were the days before easy access to a computer as well, so I called the local university near my hometown - five hours away. I couldn't transfer in until I was a junior, I knew that, but I asked to set up a meeting with an admissions advisor. I called across that same town to the local community college and set up a meeting an hour after the other one with admissions there. Then I sold plasma for two weeks, purchased a round trip ticket on a Greyhound bus, and went home for the weekend. I stayed with friends, met with the two different schools in admissions, figured out the plan for the next three and 1/2 years, hopped back on the Greyhound to Lexington and called my parents again. The transfer would be happening whether they supported me or not. To say they were a bit ticked off at their stubborn and resourceful daughter would be an understatement. Years later looking back I know the truth, they only had themselves to blame. Growing up they were twin pillars in my life, real life examples of work ethic. Through them, I knew that when faced with failure, you didn't give up. I knew that playing the woe is me card would be frowned upon. I also knew that I had gotten myself into this situation and I was responsible for figuring a way out, so I did. In 1992, I was a bit resentful that they refused to bail me out. In 2016 I am in awe of 18 year old me and beyond grateful for everything my parents taught me - spoken or unspoken. Today I read this article someone shared on Facebook. (HERE) It immediately reminded me of my freshman year journey. At the time, I could have looked at my inability to stick it out at UK a failure, but I didn't. I looked at it as a bump in the road. However I had faced failures so many times over the years, I knew how to navigate these tricky waters. I'm not sure all of the kids I teach today would be the same. In fact, it is because of my students that I parent the way I do. I'm not winning any award for the best parent, let's be honest. There are days I think I've got it figured out and days I know all too well that I am soooooooo far behind. What I do know is that I allow them to fail - probably more often than they'd like. I've never helped with homework or even talked about it much at home. If they ask, I'll give suggestions. If it something requiring parental assistance, I will do the minimum. I've never packed their backpacks, brought forgotten lunches or instruments to school. Nope. A friend asked me about that once and then said I had simply gotten lucky - I had organized kids. It's true, I do have one son that is relatively organized, but I also have another that's an organizational disaster. However, both have had several forgotten lunches during Kindergarten and first, homework left at home after that, and then they began to remember. Both forgot a band instrument at least once. Small failures, but life moved forward. We've had bigger ones too. Some I've spoken about, some I haven't. One most recent one was when one of my boys didn't make the basketball team, his favorite sport. We let him be sad for about an hour - which did break my heart a bit - and then asked him to figure out a plan. Did he still want to try again? Did he want to play somewhere else this year? He figured out what he wanted to do and we helped him move forward. We've talked about it, shared when we failed as kids, what we did about it. As I type this post, I'm listening to him dribble in the basement, not because I required it, but because he wants to. 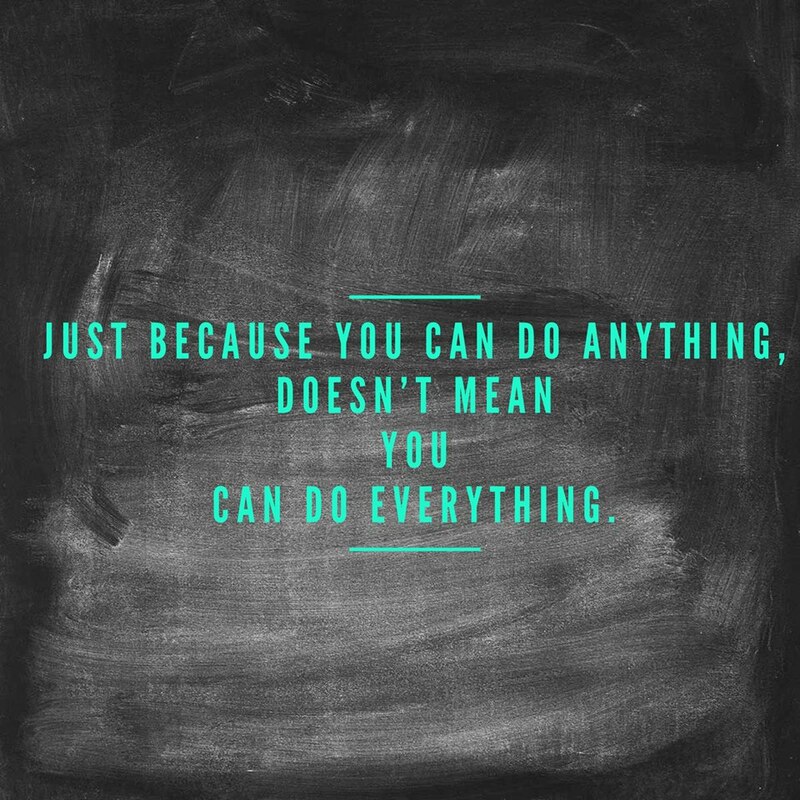 Failure is a pretty big deal, and we are all going to face it. No one will escape life unscathed. But I think we are doing our children - both our own and our students - a disservice if we teach them that failure is bad. It isn't. It's how we learn, grow, and move forward. Now, almost twenty-four years later, I can see how much I gained from that failure at the college level. I got to see what I was made of, what type of determination I had. I also learned that without a shadow of a doubt that I had inherited my dad's (and both of my grandmothers') stubbornness. I wouldn't trade that experience for anything in the world.